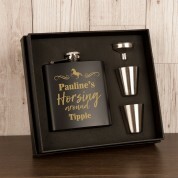 Equestrian themed Gift Set for a Girl. 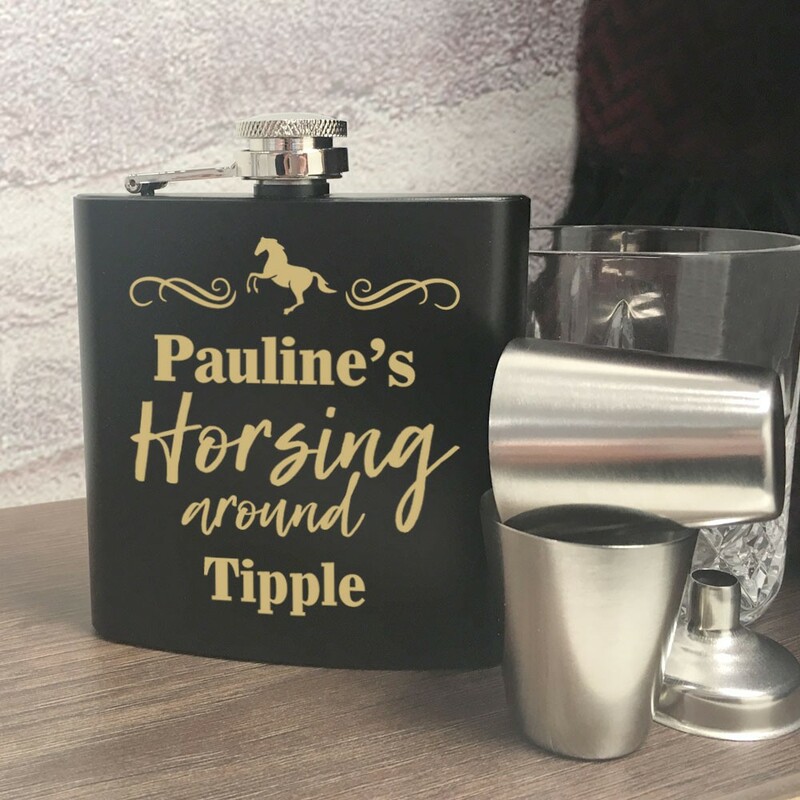 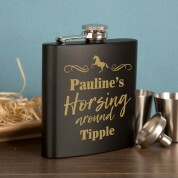 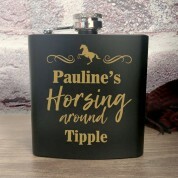 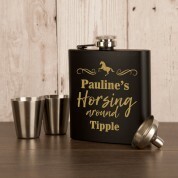 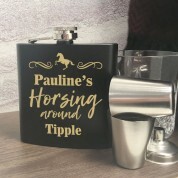 6oz Engraved "Horsing Around" design for the lady who wants to take her favourite tipple to the races. 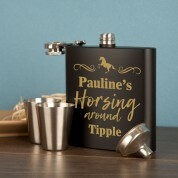 This may be a fun design but the presentation makes it a serious gift for any major occasion including Birthdays. 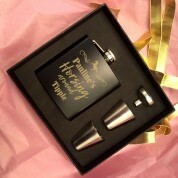 Your Giftset includes the 6oz Personalised Hip Flask as well as two drinking cups and a pourer.